I am the Director of the Native Seed Network and creator of the National Native Seed Conference. I began work in seed-based restoration as a seed collector in Yosemite National Park over 20 years ago. I holds a Master of Science degree in Ecology from the University of California, Davis and have worked at the Institute for Applied Ecology since 2002, where I conducted research on seed transfer zones, developed the Institute’s Habitat Restoration Program, and since 2010 have been producing the National Native Seed Conference, bringing researchers, seed producers, land managers, and restoration professionals together. Nancy Shaw’s Ph.D. (Oregon State University) emphasized seed science and technology. She has served as a Research Botanist with the USFS Rocky Mountain Research Station, Boise, Idaho for 35+ years (Emeritus since 2013). Her research focuses on restoration of semi-arid lands. She has authored/co-authored 140 publications and co-edited two books. From 2003-2013 Nancy led the Great Basin Native Plant Project, an interdisciplinary program to develop seed transfer guidelines, native plant materials, seed production practices and restoration technology for this semi-arid region The project involves collaboration with federal and state agencies, universities, seed regulatory organizations and the private sector. Based in northwest Indiana, Stephanie provides pollinator habitat expertise to farms in Canada and the central U.S. as the Agronomist/Native Plant Materials Specialist with the Xerces Society for Invertebrate Conservation. She works with the native seed industry and researchers to plan and develop seed supply of important plant species for restoration of insect habitat. Before joining Xerces, Stephanie conducted her PhD research on the potential of native cover crops in Spanish olive irchards at Semillas Silvestres, S.L. through the NASSTEC (NAtive Seed Science, TEchnology and Conservation) project. Previously she was Plant Materials and Conservation Programs Manager for eleven years at the Nature Conservancy's Kankakee Sands Restoration. Seeds are plants too and are a very key part of restoring vibrant natural communities and their ecosystem services. I’m a PhD student examining seed dormancy, enablement, and restoration in dryland systems of Western Australia and western North America. Previous to this role, as a research scientist at the University of Idaho, I was involved international capacity building and knowledge transfer in a diversity of native plant restoration projects (spanning from the western U.S., Haiti, the Hawaiian Islands to Lebanon). I’m committed to the notion that global networking can bring positive change, enhance understanding, and improve the success of restoration on the global scale and would be honoured to promote this message through an official role in the INSR. I am an Associate Professor of Wetland Ecology at Utah State University in the U.S. My research focuses on (1) the ecology, genetics, and management of wetland invaders, (2) seed ecology of native wetlands plants, with implications for wetland revegetation, and (3) restoration genetics for sustainable, functioning wetland restorations. Some of my current projects with my students include seed-based restoration of Great Salt Lake wetlands with a focus on seed traits and improving seeding outcomes in restorations. I am excited to be a part of the INSR network and to bring a stronger emphasis on seeds in aquatic ecosystems. I'm a Ph.D. student at Curtin University in Perth (Western Australia) investigating the application of seed coating technologies on native seeds for restoration. I graduated in Natural Science at Università di Pavia (Italy) researching the effects of climate change on alpine flora. In the meanwhile I've worked at the Center for Native Flora of the Lombardy Region on various restoration project and collaboration with private nurseries for the implementation of a native plant market in Lombardy. Form 2012 to 2015 I have been the co-founder and acting CEO of Flora Conservation srl, the first Italian private company focused exclusively on the production and commercialization of native plant and seeds from northern Italy. Given my actual position and my previous experiences I've often found myself in between the science and the practice of restoration and grew aware of the gap between those two worlds. In INSR I see a tool to close this gap, and ultimately increasing the efficiency of seed based restoration and spreading know-how and best practices world wide. I currently work as a Project Support Officer at the Edinburgh Centre for Carbon Innovation of the University of Edinburgh while supporting research projects on plant conservation at the Royal Botanic Garden Edinburgh as a Research Associate. Previously, I facilitated the knowledge transfer between academia and industry for the EU NASSTEC (NAtive Seed Science, TEchnology and Conservation) project; and this was possible as I trained and worked for almost ten years as a researcher on plant conservation and ecology, with a special focus on native seeds. Beside experimental research, I believe that communication and connection of stakeholders are equally crucial to achieve effective results in seed-based restoration and sustainable development, and that's where INSR plays a fundamental role. I am a restoration ecologist and conservation biologist, Professor and Director of a major newly funded Centre for Mining Restoration with 30 years experience in restoration focused on minesite and urban interface restoration and conservation practice. 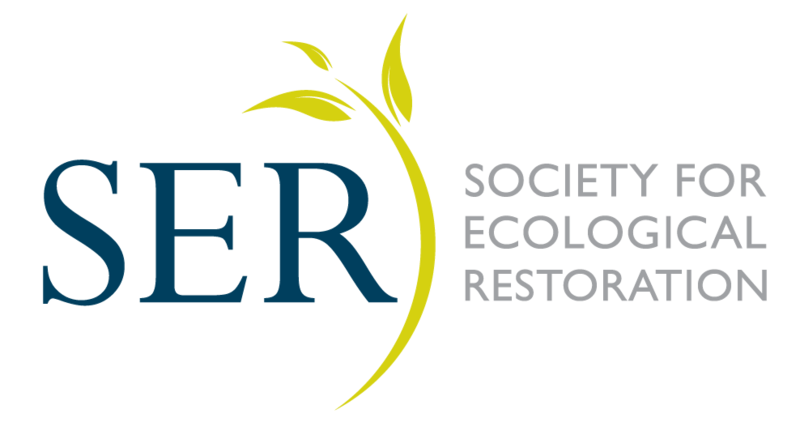 I am the Chair of SER’s Australasian chapter and a passionate believer in the social, economic and environmental values of restoration particularly in a world facing the need for carbon drawdown when restoration will become a major focus for all nations. My interests in native seed span the same time period and I have published over 70 papers on the subject. I see native seed use and methods to improve functionality and efficiency as key to delivering cost effective, landscape-scale restoration on a planetary scale. I look forward to taking the INSR to a truly connected global network.